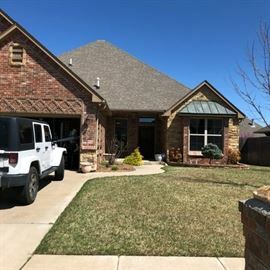 AddressThe address for this sale in Edmond, OK 73012 will be available after 9:00am on Thursday, May 9th, 2019. This sale is just one you'll want to come to. Full of high end original art work and statue's. Gibson, Martin, Fender acoustic and electric guitars. High end cooking ware, Miata convertible car, electronics, appliances.